Over the years I have begun to build up quite a collection of popular Psychology books, most of which now sit on the bookshelves at my office or at home. I often get asked by clients if any of these books are any good, and if there are any particular books that I can recommend for them to read outside of therapy that could assist with the work that we are doing together so that they can improve more quickly. Popular Psychology books may not be hugely beneficial for everyone that I see. However, if what is written is based on solid science, with research backing it up, then at least it is going to help to educate and inform, and if done alongside therapy, the practical solutions really can make a difference. 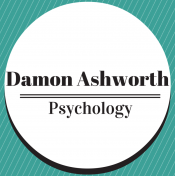 Across 4 separate posts, I will share my top 20 Psychology books. To qualify, I have to have read and enjoyed the books myself. I will not include more than one title from each author. To avoid personal bias in the rankings, I will rank them from lowest Amazon.com star rating to highest. If there is a tie in regards to the star rating, I will discuss the most recent title (based on year of publication of the version I am reviewing) first. Hopefully, some of them can be useful to you! Why it’s good: Like the book cover says, it redefined which intelligence was seen as most important in the workforce. It used to be thought that the smartest students with the best grades would also make the best employees. But big companies were finding something different. Individuals who had better awareness and understanding of others emotions, as well as their own, often performed better at work, especially if they knew how to respond to and utilise their greater emotional understanding effectively. Emotional Intelligence, or EQ, is now seen to be just as important, if not more important, for occupational (and social) success. Read it if: You’d like to better understand what Emotional Intelligence is and why it’s essential. Or to see if you have high EQ, and how you can develop it more over time. Why it’s good: Like ‘Quiet’ by Susan Cain, ‘The Highly Sensitive Person’ does a great job of depathologising something that people are often made to feel bad about. Some of us have more reactive physiological systems and are more likely to become overwhelmed or drained if presented with too much stimulation for too long a period of time. The aim is not to change a highly sensitive person into someone who is not sensitive anymore, as being more sensitive to things also has its benefits. It is about understanding what is needed for a highly sensitive person to best care for themselves so that they can thrive in this world and enjoy a healthy and happy life. Read it if: You or someone that is close to you has ever been called “too sensitive!” and you are wanting to know which strategies are most helpful in efficiently managing things. Why it’s good: Most people are just a little bit dishonest, in a way that is biased towards themselves, especially if there is an incentive to do so, and even more so if they know that they will not be caught. If there is some money going missing at work, chances are it is many people taking a little rather than one person taking a lot. There are ways to increase honesty too though. Put up a fake security camera, place a picture of someone’s eyes near the till, put up a police notice in blue and white colours saying “offenders will be prosecuted”, and provide incentives for people to do the right thing. Read it if: You are curious to see just how much we lie to ourselves and others and then try to rationalise or justify our actions afterwards. Why it’s good: Thanks to the advances in Brain scanning technology, such as fMRIs, Davidson, a pioneering Neuroscientist, has now found that each of us has our own unique emotional style. An individual’s emotional style depends on where they sit on six different variables, which can all be identified and contrasted via brain scans. Some people are more resilient, whereas others struggle to bounce back from adversity. Some have a very optimistic outlook, whereas others are much more pessimistic. Some people are very self-aware, whereas others have little insight into what they do. Some people are socially intuitive, whereas others struggle to grasp how to interact socially. Some people are very sensitive to context and will change how they are depending on the situation, whereas others act the same wherever they go or whoever they talk to. Finally, some people find it very easy to pay attention to things and focus on the task at hand, whereas others are easily distracted. It then looks at how Mindfulness Meditation is a particularly useful way to rewire our brain so that we manage our emotions better and respond to things more helpfully. Read it if: You want to figure out where you are on each of the six different components, and how you can change them if you would like to do so. Why it’s good: So many people believe that if they just had more self-discipline and willpower than they would achieve more, be more efficient and productive, do more of what they like, and be happier. These same people often have very little understanding of what willpower actually is, which is a finite resource that can be drained quickly. Once we can understand it, what drains it and what replenishes it, we can then schedule and plan our lives so that our willpower drains less quickly and is there to help us get through a difficult task when we really need it. As much as it is fun to be flexible and spontaneous, not having a routine or good habits drains willpower quickly, as does having too many choices, being indecisive, and constantly deliberating about what to do. Although it is also tough to build good habits and routines initially, once they are established, we can then utilise our willpower in other, more challenging ways that will help us to continue to grow. Read it if: You want to understand how willpower works so that you can better utilise it in your life to achieve your goals.